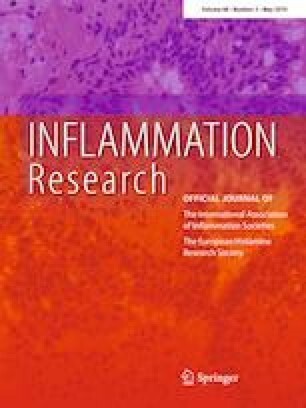 Hypothalamic inflammation is closely associated with metabolic dysregulation. Fibroblast growth factor 21 (FGF21) is known to be an important metabolic regulator with anti-inflammatory properties. In this study, we investigated the effects of FGF21 deficiency on obesity-induced hypothalamic inflammation and thermogenic responses. FGF21-deficient mice and/or wild-type (WT) mice were fed a high-fat diet (HFD) for 12 weeks. FGF21-deficient mice fed an HFD showed increased levels of inflammatory cytokines compared with WT obese control, and this was accompanied by upregulation of gliosis markers in the hypothalamus. Expression of heat-shock protein 72, a marker of neuronal damage, was increased in the FGF21-deficient obese mice, and the expression of hypothalamic neuronal markers involved in anti-thermogenic or thermogenic responses was altered. Moreover, the protein level of uncoupling protein 1 and other thermogenic genes were markedly reduced in the brown adipose tissue of the FGF21-deficient obese mice. These findings suggest that FGF21 deficiency aggravates obesity-induced hypothalamic inflammation and neuronal injury, leading to alterations in hypothalamic neural circuits accompanied by a reduction of the thermogenic response. This research was supported by the SRC program (Center for Food & Nutritional Genomics Research: Grant no. 2015R1A5A6001906). MSK was supported by the National Research Foundation (NRF) of Korea funded by the Ministry of Education, Science and Technology, Korean government (no. 2017R1A2B3007123). Authors declare that there is no conflict of interest associated with this publication that could have influenced its outcome. Fotuhi M, Lubinski B. The effects of obesity on brain structure and size. Practical Neurol. 2013. http://practicalneurology.com/2013/08/the-effects-of-obesity-on-brain-structure-and-size/. Accessed Jul/Aug 2013.